Britain announces an additional £7 million in aid to UN agency for "Palestinian refugees", days after US ends funding to the organization. Britain announced on Tuesday that it would be increasing its aid to UNRWA, the UN agency for “Palestinian refugees”. “Today I announced an additional £7 million of British aid for UNRWA. 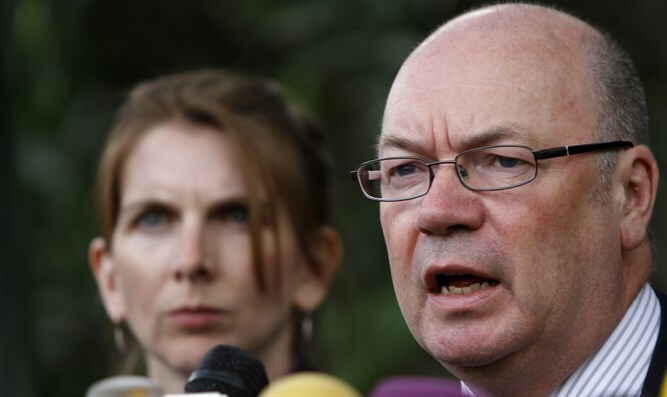 This helps ensure Palestinians can continue to access vital healthcare and education,” said Minister of State for the Middle East and North Africa Alistair Burt. “The international community must follow our lead and step up support to ensure vital services aren’t interrupted,” he added. Britain’s announcement comes several days after the United States announced it would no longer fund UNRWA. Friday’s announcement by Washington came several months after it decided to cut some of its funding to UNRWA, citing a need to undertake a fundamental re-examination of the organization, both in the way it operates and the way it is funded. On Saturday, the European Union (EU) urged the US to reconsider its "regrettable" decision to cut funding to UNRWA and indicated it would continue to fund the organization. "The EU is committed to secure the continuation and sustainability of the agency’s work which is vital for stability and security in the region," a statement emphasized, adding that "many others in the international community, including many Arab states, have pledged their support to the continuity of the work that UNRWA is doing." The US decision was also criticized by Jordan, whose foreign minister warned the decision would only fuel radicalism and harm prospects for Middle East peace.